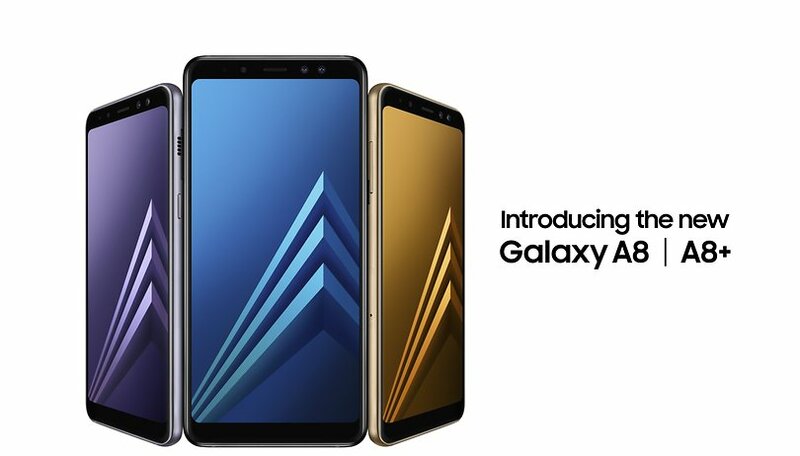 Finally, Samsung has officially announced the Galaxy A8 (2018) and Galaxy A8+ (2018), two new smartphones from the company's mid-range series. We already know their design and technical features, and now the Korean company has confirmed that the new phones will actually go on sale on January 6. Samsung Electronics has now officially announced the two new mid-range smartphones with top-of-the-range features. Compared to the Galaxy A range of 2017, the materials (metal bodies and glass panels) remain unchanged, in addition to IP68 certification. After teasing the release date of the new devices of 'early January', the South Korean company confirmed at an event in Vietnam that the devices will go on sale there on January 6, with pre-orders now available. Of course, the release date could vary from region to region, so there's still no information on when the A8 and A8+ will come to other markets. Still, we're expecting to hear more from Samsung at CES 2018, and it's likely that we'll see the A8 and A8+ released in markets around the globe soon after the release in Vietnam. In Vietnam, the price tag for the devices will be VND 10,990,000 for the A8 (around $482) and VND 13,490,000 for the A8+ (around $592). In Europe, the prices are expected to be higher, based on previous A-series generations, about €499 ($590) and €599 ($710). The two smartphones feature an Infinity display 18.5:9 with Always-on function that we already know from the Korean company's top-end models and also have a USB Type-C port at the bottom as well as two front cameras above the display. Confirmed the presence of a 3.5mm audio jack (thanks to the sky) and of the fingerprint reader on the back placed in a much more accessible position than that of S8, S8+ and Note 8. The position and shape of the fingerprint reader are reminiscent of those leaked out of the company's new top-of-the-range entry in 2018, the Galaxy S9. Thanks to the user manual uploaded by Samsung itself in its online database, we can take a first look at the Galaxy A8 and A8+ 2018 presentation. The models are labelled SM-A530 and SM-A730 respectively. In the manual we find some graphics that detail the devices. Since there is no clear distinction between the two models, we can say that both smartphones will have the same design with the same positioning of the various ports and physical keys. It is not yet known whether the dimensions will be the same for both models but the information available suggests that the only differences could be in the technical specifications. We can observe the presence of a large 18.5:9 display as already seen on the Korean company's top range devices and the presence of a USB Type-C port at the bottom as well as two front cameras above the display. Thanks to the second diagram we can confirm the presence of a 3.5mm audio jack (thankfully) and of a fingerprint reader on the back placed in a much more accessible position than that of the S8, S8+ or Note 8. The position and shape of the fingerprint reader are reminiscent of those leaked out of the company's upcoming 2018 flagship, the Galaxy S9. In the front we find a large 5.6" panel for the A8 2018 and 6" panel for the A8+, both with FullHD+ resolution (1080 x 2220). The SoC used is a 7885 octa-core Exynos (two 2.2GHz cores and six 1.6GHz cores) on both devices. To accompany the whole we find 4GB of RAM on A8 and 4/6GB of RAM on A8+ according to the chosen memory cut. Both smartphones can be purchased in 32GB or 64GB version of expandable internal memory with a microSD up to 256GB. The battery is 3000 mAh on A8 and 3500 mAh on A8+. The rear camera offers 16 megapixels f/1.7 with PDAF phase sensing autofocus while the two front cameras are 16 megapixels f/1.9 and 8 megapixels f/1.9 respectively. Live Focus mode is present for an adjustable bokeh effect only for selfie and not in the rear camera, which can rely on digital video stabilization (VDis) and hyperlapse function. What do you think? Are you excited for the new A-series models? Lower the price, and these phones could mean something. With the one plus 5t costing the same why would these be considered? For people that don’t know, they’ll sell, but if they do know there’s a better phone, for the same ballpark price, and available, no. I think if it's priced for 499.00 it will sell very well with 6gb's!